Cathal Joyce had just finished his warm-up for the inter-county semi-final between Athlone GAA and Rosemount GAA of Co Westmeath at Cusack Park, in Mullingar. Joyce was getting ready to line-out for Athlone when he collapsed at the side of the pitch. Out of the blue the 25-year-old, who appeared to be in perfect health, had suffered a cardiac arrest. Fortunately for Joyce, he was treated quickly at the scene, first by his own brother James, who was the team physio and who started CPR. Then a cardiac nurse who was in the stadium and a doctor from the other team took over and after three rounds of CPR and one shock from the defibrillator, his heart started beating again. Joyce, now 26 and a social care student at Athlone Institute of Technology, had always been “mad into sport” and never had any major health problems. He will never forget Sunday, September 13th, 2015. When Joyce awoke at the sideline, surrounded by paramedics, he was so weak he couldn’t lift his arms and didn’t know what was happening. The following day, he underwent extensive tests in hospital and was diagnosed with hyperthropic cardiomyopathy, a rare heart condition where sudden cardiac arrest can be triggered by vigorous physical activity. This is the same condition that Cameroonian international footballer, Marc-Vivien Foé, died from during a game against Colombia in the 2003 Fifa Confederations Cup. Three days later, Joyce had an implantable cardioverter defibrillator (ICD) placed under his left collarbone and he was released from hospital the following Monday. An ICD is a miniature version of a defibrillator which is implanted in those at high risk of having a fatal rhythm problem. A cardiac arrest is significantly different to a heart attack. A heart attack happens when the flow of oxygen-rich blood to a section of heart muscle suddenly becomes blocked and the heart can’t get oxygen. If blood flow isn’t restored quickly, the section of heart muscle begins to die. A cardiac arrest is when the heart stops pumping blood around the body and normal breathing stops. If people are not resuscitated quickly after cardiac arrest, they will die. 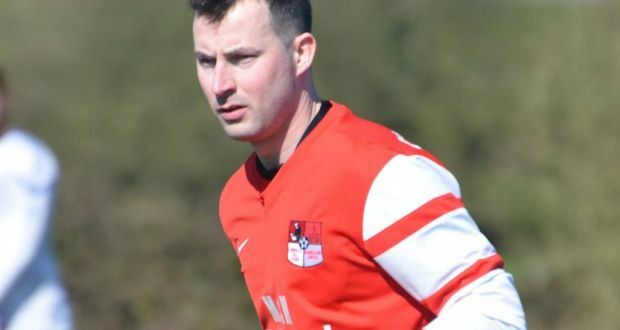 Despite being told his sporting days were over, Joyce played his first match six months later and is back playing Gaelic football and training for his team. He is also playing soccer, as well as riding horses. Joyce has also climbed Croagh Patrick in Co Mayo and completed personal training since his operation. “My life is pretty much back to normal, although there are days I do feel tired, I do listen to my body,” he says. In conjunction with the Irish Heart Foundation, Joyce trains teachers in schools around the State in CPR and helps to raise awareness of sudden cardiac death (SCD) and the vital role of basic life-saving skills. It is estimated that more than 5,000 people die of sudden cardiac death in Ireland each year. The condition came to national attention following the death in his sleep of Tyrone Gaelic captain Cormac McAnallen in 2004 at the age of 24. Sudden Cardiac Death is defined as death due to natural causes within an hour of the onset of symptoms, in the absence of any other cause, and assumed to have a cardiac cause. The majority of SCDs occur in those from late middle age onwards as a result of coronary heart disease. Survival rates following a cardiac arrest at any age are directly related to time to resuscitation and particularly defibrillation. It is estimated that survival from sudden cardiac death is less than 1 per cent without any emergency treatment such as the use of a defibrillator. Survival rates increase to 50 per cent if a defibrillator can be accessed within five minutes of a cardiac arrest. When a person has a cardiac arrest due to a condition such as cardiomyopathy, first degree family members have an increased likelihood of having the same genetic condition, which is why assessment of all immediate family is critically important. Treatment and prevention of complications is possible in most people once cardiovascular disease is identified. Sudden arrhythmic death syndrome (Sads) is a term used to describe the likely cause of sudden death when a postmortem examination has not shown any other potential cause of death such as structural heart disease or coronary disease. It was previously known as sudden adult death syndrome, but it is now recognised that this condition also affects infants and children. Several conditions have been shown to cause Sads. These are usually electrical problems with pump systems found in the walls of cells in the heart that are meant to pump salts in and out of the cell. It is not possible to find these at postmortem unless genetic tests are performed, which is not part of standard practice. The Family Heart Screening Clinic at the Mater Hospital Heart House in Dublin is a charity-funded screening unit for relatives of people who have died due to Sads, and relatives of those diagnosed with an inherited cardiac condition. Families from all over Ireland are seen at this clinic, having been referred by their GP or hospital doctors. The Centre for Cardiovascular Risk in Younger Persons (CRYP), provides evaluation and treatment for those diagnosed with, or at risk from, heart disease, particularly at a young age. The free heart screening service, which is available to everyone throughout Ireland, operates from Tallaght Hospital and is run almost entirely on charitable donations. Relatives of victims of sudden cardiac death where the cause may be inherited are seen as a priority. Patients diagnosed with potentially inherited heart diseases, such as cardiomyopathies (heart muscle diseases), rhythm disorders, Marfan’s syndrome and premature coronary disease, are also seen, and their relatives are evaluated where appropriate. People who have cardiac problems (and may be unaware of them) carry a slightly higher risk of sudden death during periods of fairly intensive activity than at other times. Dr Robert Kelly, consultant cardiologist at the Beacon Hospital, Dublin, points out that just because you exercise doesn’t mean that you will never have a stroke or heart attack, and it does not protect you from the dangers of heavy drinking or smoking. To reduce your risk of heart problems while also improving your exercise performance, his advice is to stop smoking, control your alcohol intake, watch your weight and food intake and try to keep stress levels down. Dr Kelly points out that the incidence of people dropping dead, particularly at a young age, is very small – you have a much better chance or being run over by a car or bus. However, when there is a sudden death on a team or in a community, it can cause a lot of unnecessary worry among parents and he accuses private ECG testing companies of profiting from this worry. “If you are having any symptoms like shortness of breath or chest pains when exercising, or if you have a family history of Sads, go and talk to your GP. The chance of anything showing up is very remote but there are lots of treatments if you are diagnosed with a cardiac condition. “If you are having symptoms and do not tell anybody, you are exposing yourself to risk. Some 70 per cent of men with chest pain in America do not go to see their doctor,” he adds. Anybody involved in sport at a competitive level should have to undertake a medical questionnaire that will identify those who may be at risk of cardiac problems, says Dr Kelly.